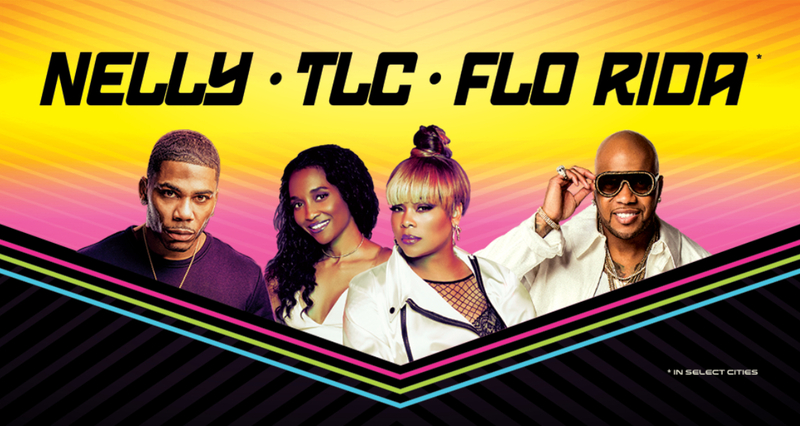 Tickets On Sale To General Public Starting Friday, March 15 at 10 a.m.
AUSTIN, TX (Mar 11, 2019) – Music icons Nelly, TLC, and Flo Rida have announced they will be hitting the road together for an epic tour across North America. The Billboard chart-topping hitmakers will join forces to bring a show like no other to outdoor amphitheater stages all summer long. Fans can expect an incredible, non-stop party with each artist delivering hit after hit all night long. Tickets go on sale to the general public beginning Friday, March 15th at 10:00 a.m. local time at Ticketmaster.com.